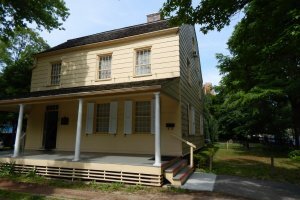 Founded in 1968 as a not-for-profit organization, the Queens Historical Society (QHS) is the largest and most active historical society in the borough and the only one with a borough-wide scope and impact. It promotes and provides assistance for research into social, political, and economic aspects of Queens history and documents the constant changes that continue to shape the borough. It maintains an archive and library of primary and secondary sources of historical information for students, historians and the public. QHS offers programs geared to a range of ages from elementary school students to senior citizens. Historical, cultural, and artistic aspects of the borough are explored through exhibitions and outreach programs including slide lectures, panel discussions, tours, and concerts. QHS stocks and offers a catalog of history-related publications available for sale as well as other items of historic and cultural interest, QHS also publishes a quarterly newsletter. Free guided tours will be lead by a tour guide from 2:30 - 4:30pm.